1989 MHC Consulting began in West Des Moines, IA offering computer consulting and programming to a variety of Iowa clients. All were IBM System/36 Mini computers. Custom programming and modifications were done in a variety of industries including banking, manufacturing (BPCS), wholesale distribution, food distribution, retail distribution, dry goods, construction management, restaurants, payroll, trucking (TL & LTL), lumber yards. Custom programming and modifications included complete integration of systems System/36 to EDI, Barcoding systems, Automated order entry (Web & PC based), batch processing and complete system backup and restore procedures. 1997 MHC Consulting changed its name to MBMA Corporation and incorporated in the state of Iowa. and moved its offices to Ashworth Plaza Building, West Des Moines. MBMA Corporation continues to serve clients across the state of Iowa, as well as into Minnesota. 2000 At the suggestion of Qualis Group, LLC, (the manufacturer of Original Udder Balm) we launched the OriginalUdderBalm.com retail website to service and ship products nationwide. We began marketing via the internet and shipping Original Udder Balm around the country to individual consumers. This was MBMA’s first venture outside of a strictly service business. As this business grew, we added Dionne Udder Balm and other Dionne Animal health products, along with the Martex Line of Animal Health Products. All these products were manufactured and owned by Quailis, Group LLC. Des Moines Iowa. 2001 The OriginalUdderBalm.com website began shipping wholesale orders to mom & pop owned retail stores on a limited basis. 2003 OriginalUdderBalm.com does its first of many retail shows, the Pet Expo in Des Moines Iowa, to showcase the many animal health products carried on the website. As we did more and more shows, we added Metal ‘Wind Spinners’ and other metal items to our show products. We were introduced to AKC dog shows, and began exhibiting almost exclusively at dog shows. We renamed our ‘dog show’ booth as ‘Witchwynds Designs’ and began tailoring our ‘booth’ to the dog show crowd. 2004 Moving away from generic mass produced wind spinners, we began looking for an artist who could do unique designs just for us. Our search led us to Beth Hickman, one of the best known artist in the professional dog show world. Beth began providing us with unique designs, and wee contracted to have them made into a variety of metal work items specifically for us including spinners, welcome signs, mailbox silhouettes and other items. We also began working with Qualis Group LLC to develop our own product line called ‘ubalm’. It was designed to be a high end line of products which would not be unusual to find in stores such as Younkers, Macys or other high end establishments and salons. In order to make sure that the products could be exported to Canada from day 1, all labels, designs and marketing information was designed with that in mind. All label designs included French & English, and were submitted to Health Canada for approvals. 2006 With our artist Beth Hickman planning to retire to Florida, we reached and agreement to purchase the ‘dog art’ business. This including all original artwork and all copyrights that had been created over previous 30 years. The artwork includes 4500+ original canine art designs. Witchwynds Designs would begin manufacturing all heat applied transfers and other products and would become the sole supplier to current B.Hickman vendors. Final approval from both Canadian and US governments received for ubalm label designs. ubalm product line is officially launched to market. 2007 Witchwynds Designs adds vinyl silhouettes (vinyl stickers for cars & trucks) are added to the product line using B.Hickman designs. Qualis Group LLC closes its doors (out of business) and ceases to manufacture products. MBMA secures all formulas for all our products to ensure they are protected and will be produced unchanged. We also secure all rights and formulas to continue manufacturing and marketing Original Udder Balm (previously owned by Qualis Group LLC), also known as Dionne Udder Balm and Martex Udder Balm. Lineman’s Professional Hand & Arm Cream is also added to the lineup of products. 2008 MBMA Corporation moves to its new larger warehouse/office space in Des Moines. We switched our focus from being a service based business to being a manufacturer & distributor and began full scale wholesale shipping of our skin cream products nationwide to farm stores, drug stores, grocery chains and owner operated stores. Many items including heat-applied transfers, sublimation items, engraved jewelry and other custom items are made on the premises. WitchWynds.com website is launched marketing to dog enthusiest, dog clubs and others. 2009 Witchwynds Designs branches out adding Dye-Sublimation products including keychains, glass cutting boards, mugs, trophies and many other items all specializing in dog breed designs. Witchwynds travels to over 50 different shows a year around the country. 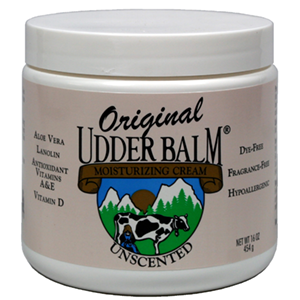 2011 MBMA adds ‘unscented’ hypo-allergenic formula to the Original Udder Balm product line. Formulated as the exact same product as Original Udder Balm, but with no dyes and no fragrances. This product has been widely accepted for use in many clinics, hospitals and care centers where dyes and fragrances cannot be used. It has also become a staple for many who just prefer nothing extra added to their skin care cream. It also is safe for use on pet paws and pads, and makes an excellent shamois cream as well. 2012 An updated logo is developed and introduced for Original Udder Balm, highlighting that it is “Original” Udder Balm, not a knockoff or imitator. Witchwynds Designs officially spun off as a separate company. This was done to allow it to focus on providing new and unique items geared toward dog show enthusiest and pet owners includes custom t-shirts with over 5000 dog designs, custom apparel items in Swarovski Crystal, custom cut vinyls, vehicle vinyls, glass cutting boards and more. MBMA develops and launches a line of 100% natural lip balms to compliment the Original Udder Balm skin care line. Development and design begins on 100% organic lip balms to be added to the ubalm skin care line. 2013 MBMA Corporation continues to grow, add new products and focus on product quality. 2014 We updated our logo to reflect 25 years of quality and integrity in everything we do. We also began development on some new products to come. 2016 We officially announced and released our new brand “Doc Hoag’s” with its flagship product “Doc Hoag’s Menthol All Natural Pain Relief Cream”. This is a fabulous pain relief cream with organic Aloe Vera and Menthol and MSM to help with those pesky pains from arthritis, sore back muscles, and other joint and muscle pains. Almost 2 years in development, it is an awesome addition to every household medicine cabinet. 2017 Doc Hoag’s has added a new Horse Supplement product that can aid performance horses with ulcers and other gastro-intestinal issues. It is formulated with Organic Aloe vera and Inulin from Blue Agave. Horses love it, and intitial results show it is helping horses feel and perform better than ever!